BBQ Chicken Stuffed Baked Potatoes bring together tender bites of chicken mixed with one fluffy baked potato for a simple weeknight meal. There’s something about baked potatoes that remind me of my childhood. That’s probably because my Mom’s go-to dinner when Dad wasn’t home for dinner would be a baked potato. That still holds true today. But because I need a little more meat on my bones [or potatoes], I came up with this hearty take on Mom’s standby: BBQ chicken stuffed baked potatoes. While sweet potatoes seem to be in EVERYTHING right now, I’m still a big fan of the classic russet potato. Especially when baking. They are very mild in flavor and something I can easily serve to the kids because they go well with almost any sauce or dip. 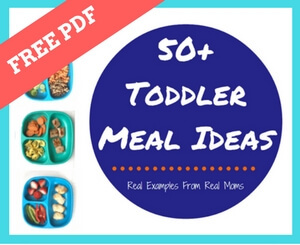 We all know toddlers LOVE to dip… and it’s a good tip for getting them to try new foods. Did my toddlers eat this recipe for BBQ chicken baked potatoes? NOPE! BUT, I did roast some potatoes for them [tossed in olive oil, salt, and pepper while our potatoes baked], and then served it alongside some of the shredded chicken + BBQ sauce. While I almost always make shredded chicken in the slow cooker, this time I decided to cook the chicken in my Dutch oven at the same time the potatoes cooked in the oven. See what I did there?! The result is still tender, juicy shredded chicken! FUN RUSSET POTATO FACT: They have more potassium than a banana! They are also a good source of vitamin C and are fat, sodium, and cholesterol free. Now I know my potatoes look a little overstuffed, but pictures can be deceiving. What I love about this meal is you really do not have to serve anything else with it. It’s like your BBQ chicken dinner special all rolled into one [unless you want a green salad on the side]. You can buy whatever size potato you’d like, and heck, the “stuffing,” would be just as delicious in a sweet potato if you’re not a russet fan. One thing’s for sure: don’t pass over a classic baked potato for a simple no-brainer winter meal! Preheat oven to 350. Scrub potatoes with water, rinse and dry thoroughly. Poke holes into each potato with a fork, then place on baking sheet. Drizzle potatoes with olive oil and sprinkle with salt. Bake for just over an hour, or until the potatoes are fork tender. Meanwhile, add chicken, onion and garlic powder to Dutch oven. Stir to combine. When potatoes are halfway done cooking, add Dutch oven to oven, cooking 30-35 minutes. When the potatoes and chicken are done cooking, slice each potato down the middle and fluff with a fork. Top each potato with BBQ chicken mixture. Garnish with desired toppings. Short on time? You could microwave each potato [5-10 minutes each depending on size]. You could make the chicken mixture in the slow cooker earlier in the day. OR you could make a batch of the shredded chicken and freeze some for later [once fully cooked and cooled]. Anyone else have a favorite way to stuff their potato?! Or heck, top a baked French fry?! Generously sprinkle potatoes with salt and then place in the oven. Bake for almost an hour, until fork tender. They should be little crisp on the outside and tender inside. When the potatoes are almost finished baking, place the cooked and chopped chicken in a medium size saucepan and cover with barbecue sauce.